Hi everyone! We’re Stacey and Kari from staridesigns –www.staridesigns.com – and we are SO excited to participate in Char’s celebration! We’re two long time friends, full time working Moms (4 kids between us) who just weren’t busy enough so we started our own business making handmade kids clothing and room décor and we are loving every minute of it! Today we are offering a darling handmade halter dress size 4/5 for one of you lucky readers – good luck and THANKS to Char for letting us be a part of her celebration! Click on over to Stari Designs and then come back and leave a comment ON THIS POST saying which of their items is your favorite! We NEED a twirl skirt at our house. Super Cute! I love the pink and purple knotted tutu! My only fear is that my daughter would refuse to take it off!!! I love the stari frames!! So cute! So much to love but my fave is the Original…Stari Dress! I love the canvases and the Theo pants. It's a toss up between twirl shirt and stari summer fun dress for me!! The tutu's are really cute with the extra embellishments of knots, ribbons, and bells. I love the stari dress!! I like the Theo pants and the canvases. i like the theo pants, they look comfy. thanks for hosting the giveaway, the halter dress is so cute. Love that twirl skirt! And the canvas paintings! I really like the frames. I liked the canvas over the crib. I love the Stari Shirred Dress. Thanks for the chance to win! Cute tutus! The knots add such a cute element. I'm loving the Stari Shirred Dress! So cute! LOVE LOVE LOVE the black tutu!!! I love the name letters. Too cute. For me, it's the twirl skirt! I love the tutu's and the twirl skirts!!! I love the stari dress. My daughter would look so cute in it!! The tutu's and the canvas is super cute. I really like the canvasas! I love the stari shirred dresses. So cute! I love the twirl shirt! So cute and great fabrics! I really like all the different stari frames. so cute and unique. Love it! This is so cute! The shirred dress is too cute. The dresses are super cute, but I think my favorite would be the canvas. How unique. The tutus are beautiful. I also love the theo pants. cute cute. I'm loving the shirred dresses. The twirl skirt is my favorite! I like the Stari dress and the Theo pants– very nice. the Theo pants are way too cute! So many fun things on that site. I love the tu tus though! Thanks! It's all cute, but you have to love the the Stari dress — it's their signature piece! I love the twirl skirt, so cute! I'd have to go with the signature dress! So cute and love the fabric combos! I love the shirred dresses! Everything is so cute! I have to pick the tutus as my favorite. A girl can never have too many tutus! Oh my! Too much cuteness in one spot… but I love the The Stari Shirred Dress or Twirly Skirt. Thanks for the chance! I love their signature Stari dress, it is adorable! Love the shirred dresses. So cute! love the swirl skirt, and everything tutu! thanks! The twirl skirt was prob. my fav. But I liked seeing your different takes on the ubiquitous pillowcase dresses that are an internet staple. Very cute! What to choose…? I really like the stari shirred dresses, darling! Wow, i really love some of those frames! And this halter dress is just the right size for my daughter!!! I love the Stari Canvases! i like the frames and canvases! Love the Stari Shirred dress! I love the twirl skirt! The Stari Shirred Dress would be really cute on my little one! How stinking cute! There isn't a thing I don't like! The canvas is gorgeous, the tutus are so full and adorable, the dresses and pants are just beautiful! I love it all! We could use tutu or a Stari shirred dress in our house for our girl. i love the stari shirred dress – so cute! They are all so cute, but I'm always a fan of a little girl in a shirred dress! Love the Stari Shirred dress. I like the wood picture frames. I love the fabric in this dress! Pick me! I love her twirl skirts on her site. the stari dress has to be my fave! 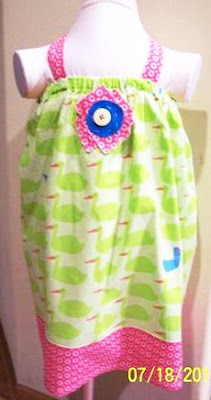 The twirl skirt would be a definite hit with my 2 yr old!! Love them all though! I love the Theo Pants. they would work out perfect for both of my kids. In addition to the dresses, I love the "Charlotte" canvas. So beautiful!! I love the The Stari Tutus, way cute! I think the "Boy" sign that also says "whipper snapper" etc is very cute! This halter dress is very cute also! Awww! I need this dress for my 4yr old! I love the tu-tu's on your site! they are so cute! Love the black tutu. I would love that dress for my little girl. I like the Stari Summer Fun dress, very cute, and I like the way the waist is gathered in… my hubby's granddaughter would love it. My favorite is the Stari SHirred dress. So cute! Thanks for the giveaway! Love the Stari dress and the canvases! The shirred dress is so adorable! Love the Stari Shirred Dress. Too cute! My favorite is the Twirl Skirt. Every little girl loves to twirl!